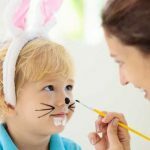 Highlights Easter brunch, bunny visit, egg, face painting and more – don’t miss these at Grand Millennium Hotel – Business Bay from only AED 115. Beverages included Choose from the options below: Option … see more.. Highlights Let this Easter be an experience Eggsactly like nothing else! Have a frolic Easter brunch at the 5* Habtoor Grand Resort from AED 199, inclusive of pool & beach access Choose from … see more.. Highlights Gather your loved ones at the 5-star Millennium Atria Business Bay for Easter brunch from only AED 99. Includes soft beverages, kids’ activities and more! Choose from the options below: Option … see more.. 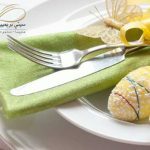 Highlights Usher in the merriment early with a delightful Pre-Easter brunch for up to 6 people at Liwan Restaurant in Swissôtel Al Ghurair from AED 115​ Choose from the below options: Option … see more.. 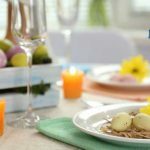 Highlights Celebrate the Easter Sunday at City Premiere Marina Hotel Apartment over a lunch buffet with pool access for AED 85 per adult and AED 45 per child Choose from the options below: … see more.. Highlights Celebrate Easter over brunch on the 21st or 28th of April at Mövenpick Hotel Bur Dubai from AED 89. Includes beverages, eggs hunting and more! 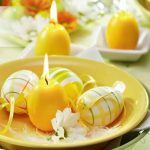 Choose from the options below: Option 1: Easter … see more.. 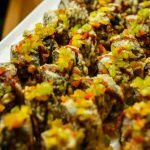 Highlights Feast on delicious cuisine served for Easter at Stella di Mare Hotel. 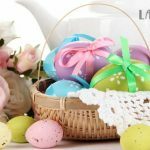 Easter brunch with unlimited soft drinks, Easter activities and more from AED 175 Choose from the options below: Option 1: Easter brunch … see more.. Highlights Don’t miss the Eggstreme Easter Brunch at Arjaan by Rotana Dubai Media City for AED 69 per adult and AED 34 per child. Includes egg hunting, face painting & more! Choose … see more.. Highlights Celebrate Easter with your family at Radisson Blu Dubai Deira Creek. 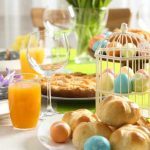 Pre-Easter Friday Brunch or Easter Sunday Brunch available from AED 89 Choose from the options below: Option 1: Easter Sunday Brunch for AED … see more.. Highlights Relive the essence of Easter over brunch at Captain’s Table Coffee Shop, inside Marina Byblos Hotel for AED 98 per person. Pool access is included! 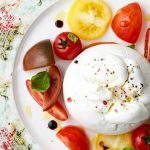 Deal includes: – International dishes – … see more.. 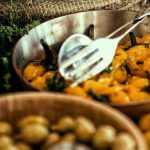 Highlights Get a 50% discount on the delicious Easter brunch with vegan twist at Spice Island, Crowne Plaza Dubai-Deira! Celebrate with a big feast for only AED 117 Deal Includes: – Over … see more.. 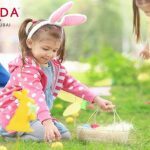 Highlights Have an eggceptional Pre-Easter brunch at Ramada by Wyndham Downtown Dubai for AED 65 per adult and AED 49 per child. Include beverages, games, prizes and more! Choose from the options … see more.. 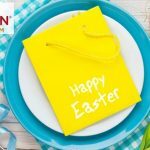 Highlights Have an eggceptional Easter brunch buffet at Fusion Restaurant, 5* Ghaya Grand Hotel for AED 89. 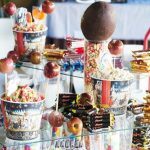 Child option available Choose from the options below: Option 1: Easter brunch buffet for 1 adult … see more.. Highlights Celebrate Easter with your family and friends at Arjaan. 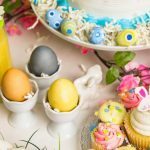 Enjoy a sumptuous Easter Brunch at Cilantro along with egg hunting, face painting and more all for just AED 69 per person​ … see more.. Highlights Celebrate Easter at Olive Oil Restaurant, Jumeira Rotana with a special Easter dinner for AED 125 for 2 people. Soft beverages are included Buffet includes: – Soft beverages, juices, and mineral … see more.. 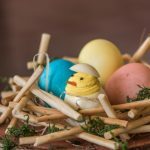 Highlights Head to Petals Restaurant for an amazing Easter theme lunch buffet with family and friends and enjoy the special Easter treats for AED 99 Lunch Buffet Inclusions: – Main courses – Appetizers … see more.. Highlights Feel the festive spirit with a splendid Easter brunch at BurJuman Arjaan by Rotana for AED 109 for 2 people. Soft beverages are included Brunch includes: – Easter special dishes – … see more.. 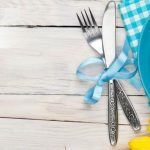 Highlights Enjoy a lavish Easter lunch buffet with pool access at Hawthorn Suites by Wyndham JBR from AED 89 for 1 adult and AED 49 for 1 child Choose from the options below: Option … see more.. Highlights Celebrate Easter at the 5-star Kempinski Hotel & Residences Palm Jumeirah. Brunch with unlimited drinks and optional pool & beach access from AED 249 per person Choose from the options below: … see more..